Check both remote and local machine Windows Firewall entries. 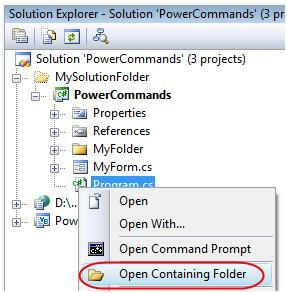 Open and Check Remote debugger monitor and go to Tools -> Permissions and grant the user’s permission to Allow Debug. One thing that can be missing is File and Printer sharing on the remote machine should open the following ports: TCP 139, TCP 445, UDP 137, and UDP 138. Even if you have configured properly remote debugger and set permission correct but still getting “access denied” error when remote debugging . Possibly, your account for network connection is differnt from as server remote debuggers defined user. you may store a credental for target server before remote debugging and its username/password not match servers user for debugging. You can remove stored networks passwords for specific targets in your client computer. opens “Stored Usernames and Passwords” windows. Select account and click remove button .Try again for remote debugging. 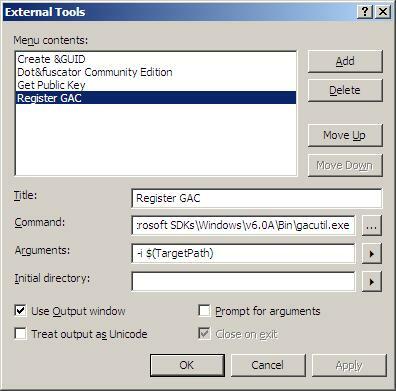 In this article we will create an external tool for registering our dlls to GAC .